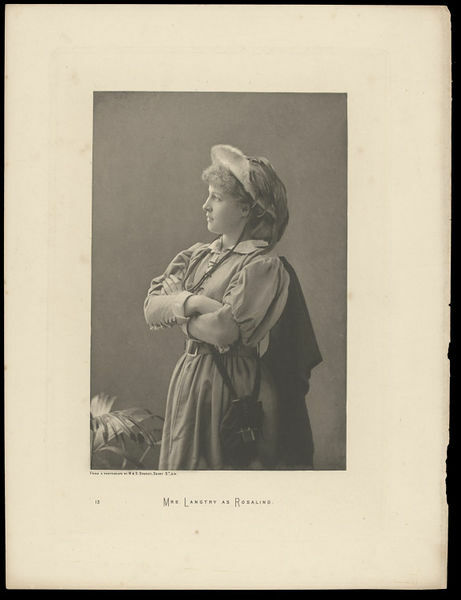 Portrait of Mrs Langtry as Rosalind in As You Like It. Print from a photograph by W. & D. Downey. 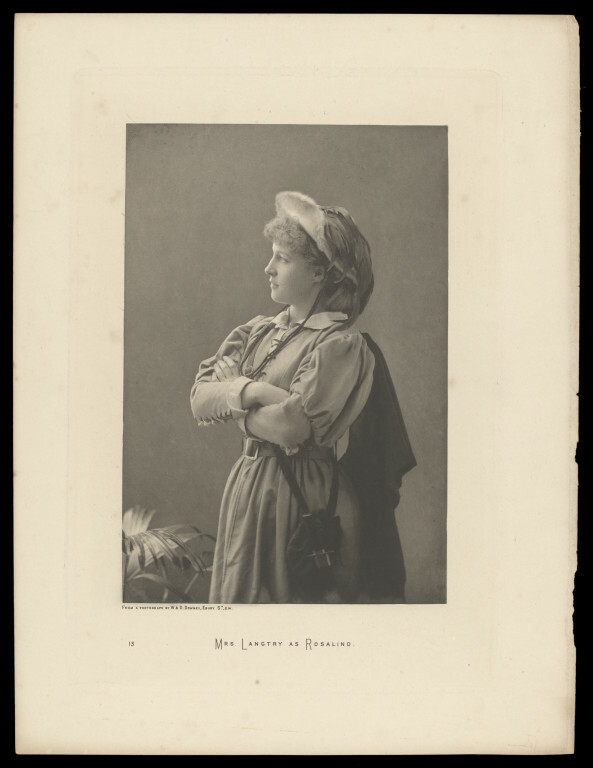 Three quarter length portrait of Mrs Langtry as Rosalind in As You Like It. 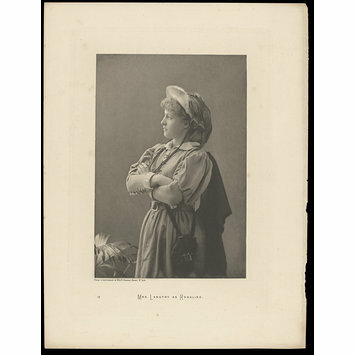 Portrait of Mrs Langtry as Rosalind in As You Like It. Print from a photograph by W. & D. Downey, late 19th c. Harry Beard Collection.